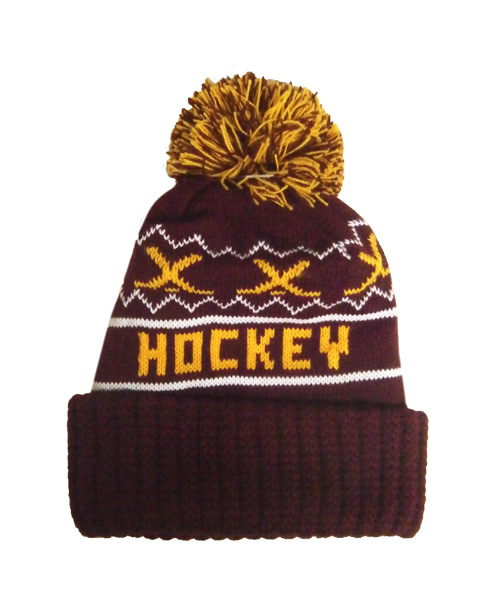 100% acrylic yarn features knitted UMD graphics. Machine wash in warm water. Made in Cloquet, Minnesota! 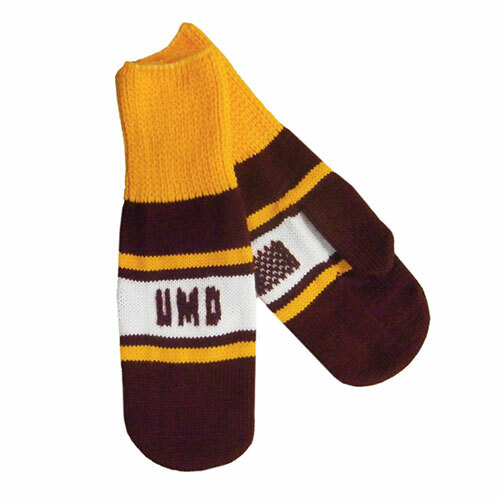 Please select option for UMD Mittens by Wear-A-Knit. 100% acrylic infinity scarf featuring embroidered Bulldog appliqué. Chunky knit to keep you warm and fashionable. 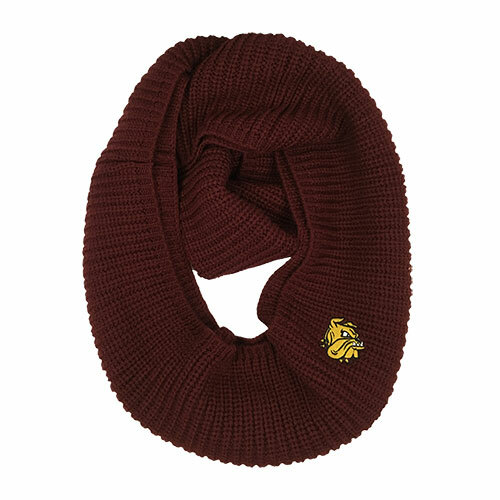 Please select option for Bulldog Head Chunky Infinity Scarf by Logofit. 100% acrylic yarn earband featuring UMD embroidered appliqué graphics. Cable knit charcoal grey and black. One size fits most. Please select option for Bulldog Head Earband by Zephyr. 100% acrylic adult stocking cap featuring UMD patch on the front and CCM logo embroidered on the back. Soft fleece lining inside the hat for extra warmth. One size fits most. 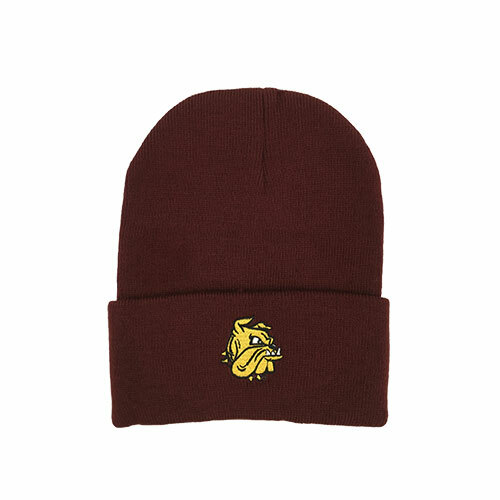 Please select option for Bulldog Head Pompom Hat by CCM. 100% acrylic yarn adult stocking cap with 2" roll cuff. Features UMD graphics on front and back. Machine washable. One size fits most. Proudly made in the USA in Cloquet, Minnesota. 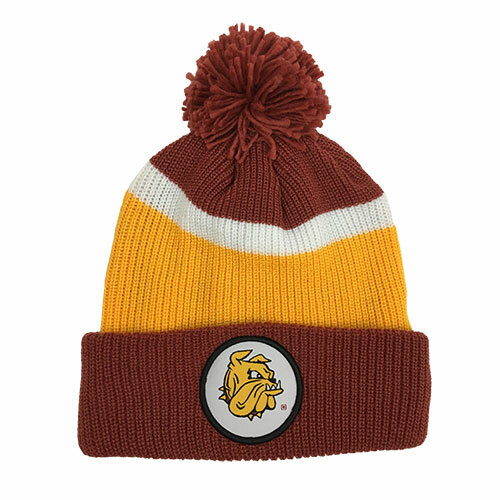 Please select option for Bulldog Hockey Pompom Hat by Wear-A-Knit *. 100% acrylic stretch knit hat featuring UMD embroidered appliqué graphics. One size fits most. 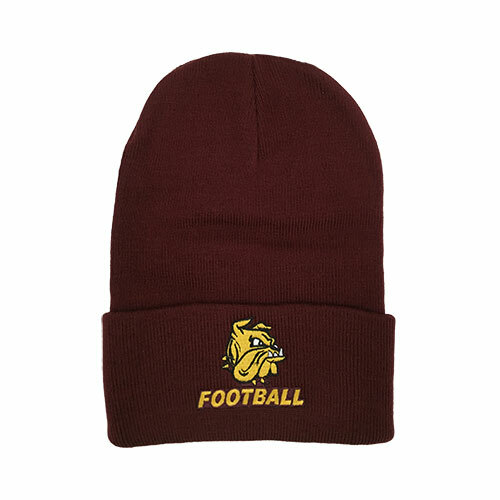 Please select option for Football Bulldog Head Cuff Beanie by Logofit. 100% acrylic yarn infant stocking cap with UMD graphics. 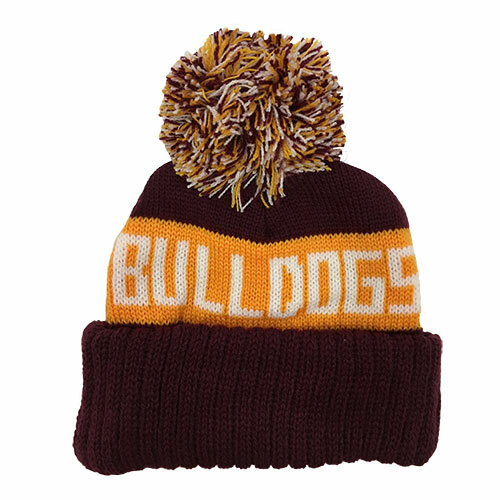 Please select option for Infant Bulldogs Pompom Hat by Logofit. 100% acrylic stretch knit hat featuring embroidered UMD graphics. Available in infant and toddler sizes. 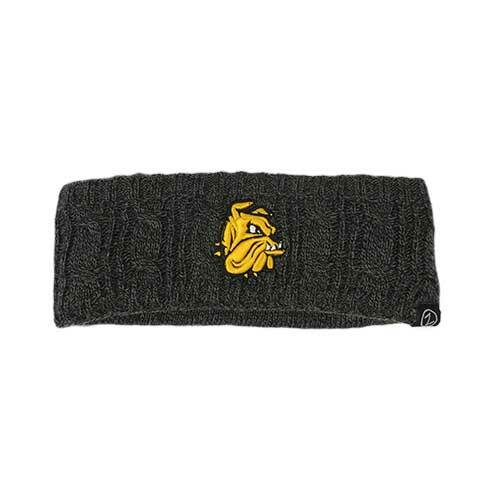 Please select option for Infant/Youth Bulldog Head Cuff Beanie by Logofit. 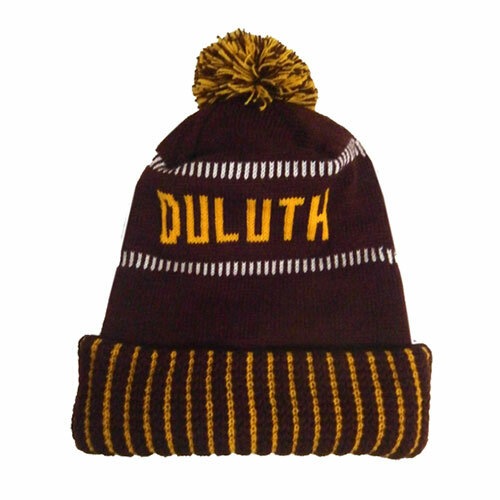 Please select option for Minnesota Duluth Pompom Hat by Wear-A-Knit. 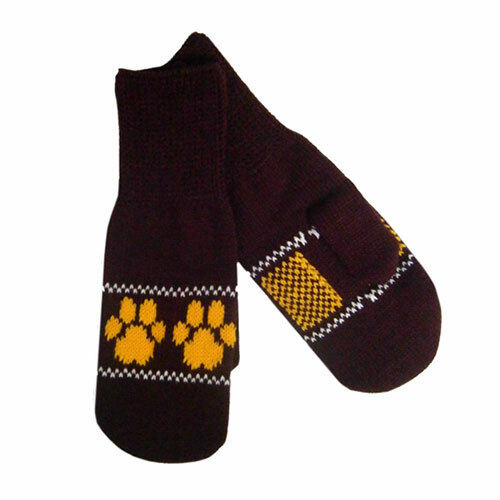 Please select option for Paw Print Mittens by Wear-A-Knit. 100% acrylic cable knit arm warmers featuring UMD embroidered appliqué graphics. One size fits most. Please select option for UMD Arm Warmers by Logofit. 100% acrylic knit boot cuffs featuring UMD embroidered appliqué graphics. One size fits most. 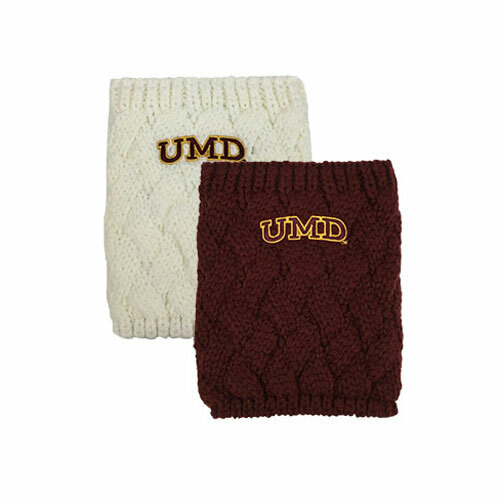 Please select option for UMD Boot Cuffs by Logofit.